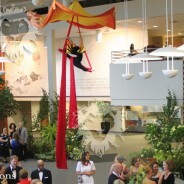 Our professional aerial acts are perfect for corporate events, night clubs, special events, weddings, birthday parties – making dreams reality! 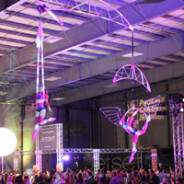 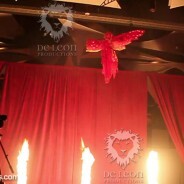 Our aerialists are attractive and talented – aerial performers that are some of the best in the world! 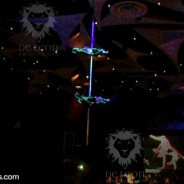 We have professional riggers on staff and have several aerial rigging options, including our freestanding aerial rig, which can span pools!